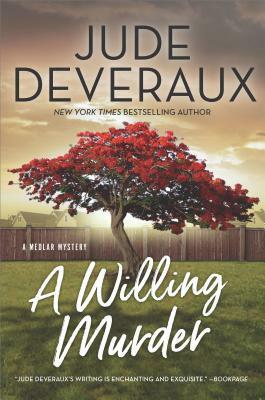 The Willing Murder by Jude Deveraux is a light romantic mystery with intrigue, family trauma, and interesting characters that make you care about a 20 year-old murder. It all began with murder. The dirt had been shifted, moved from beneath. Were one of them still alive? Once the tree was in place and dirt filled in around it, it would all be over. Straight out of college, two years ago, Kate Medlar started selling real estate, a job she loved. However, selling the same suburban type homes left her feeling like she wanted to do more. Life at home, too, was becoming more than she could take. Most of her life she had been dealing with her mother’s nerves and fears, as well as her overbearing and interfering uncles. It was time for a change. In the middle of one her mother’s rants she accidentally mentioned an aunt, her father’s sister, that Kate had never known existed. Sara Medlar was a famous writer who lived in Lachlan, Florida. From what Kate read about the town there was also realtor trying to bring the town back to life. Locating old houses that just needed to be fixed up and put on the market, was just the kind of challenge that Kate needed and a good excuse to finally leave home. Lachlan, was a town divided by the affluent families on one side and the improvised families on the other. Jack Wyatt had grown up on the wrong side of town and had been tied to the bad reputation of his father for years. It had taken time, help and tough love , but he was determined to make a difference for both him and the town. With Sara Medlar, as his silent partner, he formed a construction company focusing on rebuilding some of the run down homes. But as rumor would have it, talk said, he was living with Sara Medlar, using her, taking money from and sleeping with a woman old enough to be his grandmother. The minute she stepped into town Kate heard all the gossip surrounding her Aunt and Jack Wyatt, while a pillar of Lachlan’s community, Alistair Stewart, found the young woman just the right diversion he needed. After all the years she had taken care of her mother, she would now help Aunt Sara and put a stop to Jack Wyatt using her. She was in for a surprise. Jack and Aunt Sara were nothing like the gossips would have her believe. Kate, Sara, and Jack just can’t seem to leave the mysterious death of the two women alone. They go in search of answers, while a murderer tries to stop them. Jack has another problem, he is drawn to Kate who seems to have eyes for the debonair, smooth talking Alistair Stewart. Although the book is written for adults, older teens could also enjoy this murder mystery as well see several of the main characters in their teens. This entry was posted in Reviews and tagged Katy, Mystery, Romance on October 29, 2018 by Tony. Kyra is dead. Kyra was Corey’s best friend. Corey will not let Death slip quietly away without answers and Death will not give them up without a fight. Lost Creek, Alaska is a closed, tight knit community. You either belong or you don’t. Kyra and Corey were born in Lost, grew up together, and were best friends. But things change, businesses folded, times got harder, and Kyra began to have manic episodes. The good people of Lost didn’t just avoid Kyra, they feared her. So, why after her death were they idolizing her? Her paintings were everywhere but the most disturbing was one of a girl floating under the ice, Kyra herself. Everyone said it was an accident but the painting suggested suicidal thoughts. Why hadn’t someone tried to get her help before she died? Why hadn’t Corey answered Kyra’s letters more often? They had plans to leave Lost to go out into the world and do things. Kyra saw a therapist and took medication. When she had one of her episodes she painted beautifully, madly, and hated it. Corey wanted to study the stars, Kyra wanted to gather people’s stories, she loved life. When Corey’s mom got a job outside of Lost, the family moved. Corey promised to keep in touch with Kyra, but the first year of college changed things again. She had room mates and friends that she could openly talk with and do things, so different from life in the closed up town of Lost. More and more, Kyra’s letters got pushed back in a drawer to be read and answered at a later time. Now Corey keeps asking herself why hadn’t she answered Kyra’s letters more often? Everyone said Kyra’s death was inevitable, it was meant to be, that she had even predicted it. Corey didn’t believe any of it, Kyra had promised to wait for her to return to Lost. She hadn’t been there when Kyra needed her now she was determined to find out what happened. We see Lost and its people through Corey’s eyes but Nijkamp draws the reader in with her words. You feel the cold and isolation of a town that has lost hope for the future and then latches on to a young girl they believe sees a brighter future for them. Corey and Kyra’s story is shared in alternating chapters that carry us back and forth in time. We learn of the girls’ friendship, their dreams of the future, the old spa they would escape to, their attempt to make more of their friendship, and meet some of the town’s people. Most of all you read of the love, disappointment, acceptance, and heartbreak that friendship can bring. A suspenseful thriller of a mystery that tells the story of friendship, warts and all, from beyond the grave. It also a coming of age story where one girl grows up and the other lives on in memories. In the end, we see that everyone has a side of themselves they keep hidden, sometimes even from their selves. 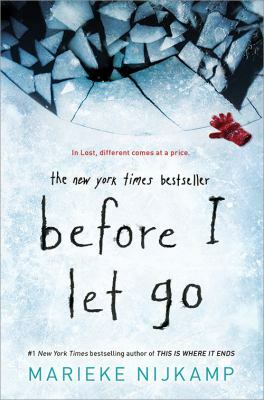 This entry was posted in Reviews and tagged Alaska, Death, Katy, Mental Illness, Older Teen Fiction, Thriller on May 9, 2018 by Tony. In the city of Madison, people don’t need a star. They have a special place that gives them one wish on their 18th birthday. Eldon’s birthday wish is coming up in just 25 days but he still isn’t sure what he wants. Ebba, his little sister, is on life support after an accident. Eldon lost the star spot on the football team. And the girl he loves dumped him for the Calvin, the new star of the team. Now there is nothing left but his wish. His mother is pressuring him to wish for a way to bring his sister back. His father is consoling but ineffective, locked into a life controlled by his wife’s life-long wish for his love, a love that has made both of them miserable. So what can Eldon wish for that will make the world right again in his eyes? After all, there is always someone who can wish away what his wish has given him? Those under eighteen dream of their wish, long for the moment they can will get their greatest desire. Many who have made their wish now live with regret or are ruled by their greed for power or money. In high school it has even become part of the curriculum to discuss what to wish for and how to word their wish. Eldon has the answer, he thinks. Merrill, his best friend, and he join forces with Norrie, a very religious young lady in a town of non-believers, to set out and talk with those who have made their wish. What did they wish for, why and how did it turn out? Along the way Eldon will see a side of himself he never saw, the way others see him, arrogant, self-centered and quarrelsome. In his search for wisdom, he makes a hash of things. Eldon’s behavior includes fighting, letting others (especially his father) down on the football field, drinking, and even divulging the town’s long-kept secret to outsiders. Intertwined with Eldon’s growing realization of himself and how others view him, are the stories told by those who have already made their wish, why and how it changed their lives. Before and after they wish, people are driven to protect their secret source. This effectively closes off the town from outsiders and what goes on beyond its limits. Eldon and others, who have yet to wish, are so focused on what will give them their heart’s desire, they forget that life is full of choices and one bad choice/wish shouldn’t control your future. Merrill and Norrie, with their common sense and vision of a possible future outside Madison, are a good balance for Eldon’s self-centered attitude. So, has Eldon gained any wisdom from his mistakes and from listening to other’s stories? Will he simply make a wish for himself or one that will change Madison forever? We don’t get the full picture of all the characters in this book but you don’t need it to walk with Eldon, see his mistakes, watch him grow and meet some curious characters along the way. This is a story of how being given something you don’t have to work for rarely makes you happy. It’s also the tale of a town, closed off to the opportunities from the larger world, given the chance to grow up as well. Match As You Wish by Chelsea Sedoti with Spoon River Anthology by Edgar Lee Masters for an example of what happens when small town secrets are shared with the world. Learning from other’s mistakes in life means listen first and then make your own choices. This entry was posted in Reviews and tagged Coming of Age, Fantasy, Katy, Older Teen Fiction on April 10, 2018 by Tony. Tristan and Izzy have been in love since middle school. They have always known that there was an ending date stamped on their romance that loomed ahead of them. Since he was twelve, Tristan knew he and his parents were going to be part of a mission that will take them away from Earth forever as part of the small group of people who were going to colonize Mars. Reality television has pulled out all the stops to capitalize on the teen’s romance, drawing on the legend of star-crossed lovers Tristian and Isolde. Tristian and Izzy’s romance has humanized the mission and touched the heart of millions in a way none of the other publicity has done. With all the world’s eyes on the Mars Project, they have become the darlings of reality television, much to their chagrin. Tristian and Izzy only agreed because the money they would receive could give Izzy opportunities for college and a better life when Tristian was gone. As for Tristian, some of his share would be divided between the needs of the mission and a trust set up on Earth to help others in need. But the mission isn’t all glory and celebration for there are those on Earth who would see it ended before the colonists leave the planet. NeoLuddite radicals want the mission to Mars scrapped, even if that means killing the colonists. They also strike against Izzy in hopes of grabbing attention and rocking the confidence of the mission. News breaks that China has also been planning a trip to Mars with their own group of colonists. Another concern is who will reach the red planet first and what will that mean for their voyage? Then someone aboard starts sabotaging life support functions on the ships. Now in deep space the colonists must find the saboteurs before it is too late. Who are the terrorists among them? Where will they strike next? Will any of the ships and their crew make it to Mars? This tale of space exploration, mystery, and danger is told through Tristian’s eyes, following his courtship and separation with Izzy, the grueling training, and finally the voyage of no return. A genius in engineering, he can take anything apart and put it back together in record time. At this point, it will take all of his skills, ability with machines, and ingenuity to help make this mission a success and save the people he cares about. Filled with scientific facts and supposition about how a journey like this might become reality, especially if we continue to deplete our limited resources without finding other solutions. 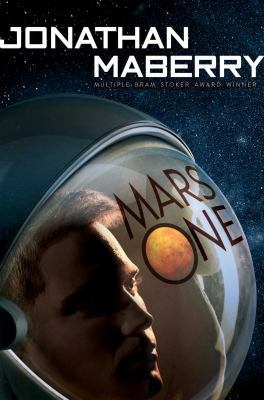 In my opinion, at the heart of Mars One are two strong young teens that grow to love each other, grow apart, and go their separate ways, all while keeping their memories of each other alive. In the end, they use their love to leave something wonderful behind. This entry was posted in Reviews and tagged Colonization, Katy, Mars, Romance, Space Exploration, Young Adult Fiction on August 20, 2017 by Tony. If you have ever been curious about time travel, check out this tale that travels back to the past and into the future. If you like a bit of a mystery, dig into this story. 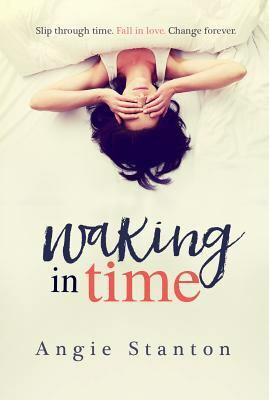 And, if you like romantic tales read Waking in Time by Angie Stanton. Angie Stanton started with an old photo of a young woman named Ruby and some sketchy information. Anyone who had known Ruby’s story had long ago passed away. So, armed with only a few facts and the photo, Ms. Stanton decided to create a story for Ruby and solve the mystery of why Ruby spent a short stint in a convent when she wasn’t Catholic. Within each time period explored, there is a sense of what it was like to be a young woman of the period, complete with certain social restrictions and fashion styles. Abbi (the protagonist based on Ruby) isn’t stopped from standing up to the prejudices of a woman’s place, falling in love, and digging for answers in some odd places. Following her grandmother’s last request to attend her alma mater, University of Wisconsin Madison, was the easy part. The other part of the dying plea was just plain weird. Abbi had promised to “find the baby.” But what baby? Thinking her grandmother’s mind had been wandering at the end, Abbi put it out of her mind. That is, until the morning after her first night at college when she woke up in the year 1983, more than 30 years in the past. In her travels in time, Abbi meets two men at earlier times in their lives. One is a professor of physics (Smitty) and the other is a young man from the 1920’s who had traveled forward in time (Will). Each is a part of the frustrating puzzle since, both Smitty and Will have information from the past they can’t or won’t share with her. Abbi also meets others along the way and learns more about herself and her family. But, if they ever hoped to end this strange time travel nightmare Abbi and Will had to solve the mystery of why this was happening. Did she really want to return to her own time if it meant losing Will, who Abbi had grown to care so very much about? This entry was posted in Reviews and tagged Katy, Older Teen Fiction, Time Travel on May 28, 2017 by Tony. Don’t mess with Magic! Don’t fear it. Respect it. Learn how to practice it. All lessons Alex ignored until she placed those she cared for, both living and dead, in the path of a powerful bruja. The Destroyer drained the life and spirit of everything be it living or dead seeking dominance over Los Lagos and beyond. Alex held the power the Destroyer craved, needed, to reach beyond the land of the dead into the land of the living. But Alex also held the power to destroy her. It begins in the world of the living. Born into a family of brujas and brujos, Alex craves normality, to go to school and fit in with other teens. But Alex has seen and done things with magic she can’t forget. Only Rishi her best friend at school, accepts Alex as she is, even if she is weird. Now her Deathday is coming, the day she will receive the blessing of her ancestors. But, all Alex wants to do is stop this magic from growing, to get free. To do this she needs a spell that will send it away, to reject it. For this she turns to Nova, a dark brooding brujo boy. But Nova has his own needs and wants, so can he be trusted? The spell goes horribly wrong. Alex sends her family, both living and dead to Los Lagos, a land in-between and straight into the clutches of an evil bruja. Now she must go after them and bring them back. To do this she will need the magic she has so long denied, a boy that may or may not be trusted, and a true friend that would go to the ends of the earth for her. What Alex didn’t understand was that her blessings will free the magic within her to stretch out and prosper. Without them, the magic can twist and turn, evolve, into something bad. 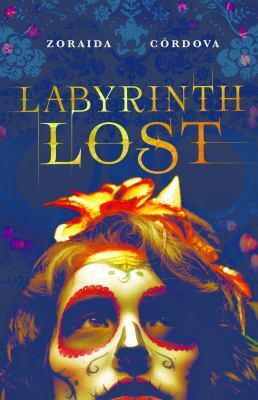 In Los Lagos, Alex will find not only herself, but adventure, danger, intrigue, mysteries, creatures, friendship and love. She goes to right a wrong, to learn and hopefully find the wisdom she’ll need to handle this magic within her. She goes for her family but will Alex have the strength, the courage, and enough magic to traverse this land of denudes, avianas, saberskins, and other unhelpful creatures of the realm? The three main characters in Labyrinth Lost clearly have their different personalities. Rishi is the most open, quirky. Nova has the sense of a street kid, with magic, and dark under currents run through him. Alex is lost, unsure, and regretful but in the end is the strongest. Spirits of family members lost are easy to envision, showing up from time to time to help tell the tale and enrich the narrative. There are a few things, McGuffins, not fully explained, but for the most part they add a bit of spice to the tale and in the end leaves room for “what if?” There are other twists and turns in this culturally rich tale that had me running to a dictionary for more information. I enjoyed the racial blending and the cultural point of view from which the story was spun. The author, Zoraida Cordova, says her inspiration for this tale is Latin American religions and cultures. This is a story to enjoy and talk about with others and a reminder that love can come from some unexpected directions. This entry was posted in Reviews and tagged Fantasy, Katy, Latin America, Older Teen Fiction, Witchcraft on December 19, 2016 by Tony. Who was Typhoid Mary? Was she a villain or victim? Were her assessors after fame or just doing their job? Or was Mary just the scapegoat for officials who waited too long to clean up their cities? Typhoid fever at first caused headaches and fatigue, then by a high fever, stomach pain, chills, and a red rash. One out of three people who contracted typhoid died. And as the deadly disease broke out in New York cities, thousands died. George Soper’s job as a sanitation engineer made him an expert on germs that caused disease. Now it was his job to stop this contagious disease from spreading. He found the filthy living conditions in cities, with their open sewers, contaminated water, dead animals in the streets and horse manure were spreading disease and death. Soper came to show the city officials how to clean up their streets but he found more. He found a cook named Mary Mallon. She was a young teen when she crossed the ocean to America from Ireland. She learned her trade as a cook the hard way, working as scullery maid, until she mastered the knowledge to become a cook to the very rich. She also was believed to be a carrier of millions of typhoid germs. Hell Gate was an island in New York’s East River originally set up to quarantine smallpox victims. 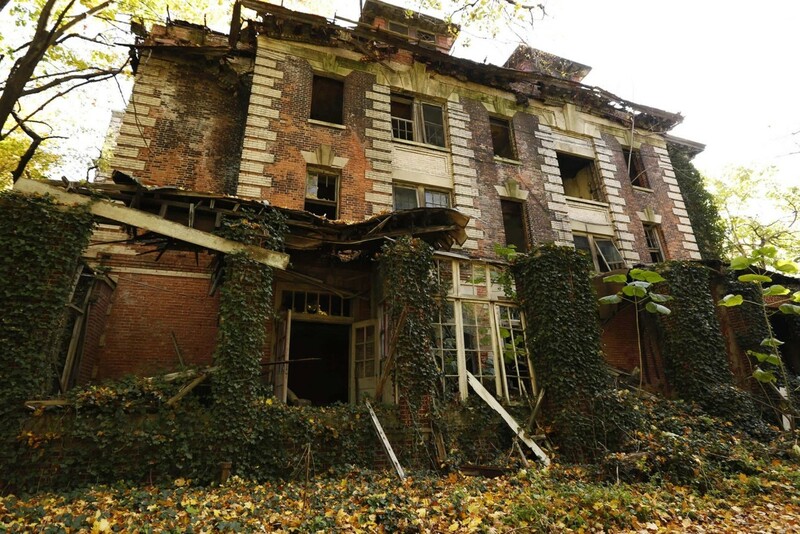 By the turn of the century, a hospital there held anyone who needed to be isolated and forgotten. Mary was imprisoned on Hell Gate, released, and later returned to quarantine when found to have return to her original occupation. Mary died in captivity at the age of 69. She never offered her side of the story. All that is known of Mary’s beliefs were that she never saw herself to be sick or to be the source of the various outbreaks of typhoid left in her wake. A tale straight out of the history books – laced with original photos, documents, illustrations and cartoons from newspapers and magazines – yet it reads like a murder mystery. This is a good read but would equally make a good source for a school report. You be the judge. 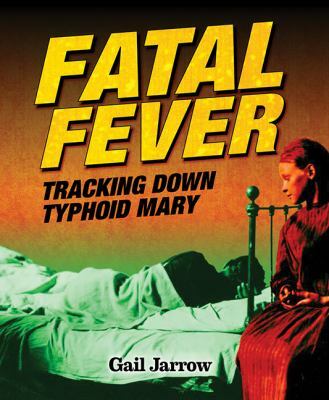 Pick up Fatal Fever: Tracking Down Typhoid Mary by Gail Jarrow. Note: The illustrated cartoon demonstrating how flies spread the disease was drawn by illustrator Vernon Grant who would later draw Kellogg’s Snap, Crackle and Pop. This entry was posted in Reviews and tagged Adult Non-Fiction, Katy, Typhoid, Typhoid Mary on September 1, 2016 by Tony. This fictional tale could have been taken from today’s headline news. It is the story of a teen that has lost contact with reality and blames others for his feelings of abandonment and loneliness. He enters his former high school armed with the means to lock down the school on his terms, with a deadly weapon to “show the world” and “to be remembered.” The reader is initially placed outside when the gun shots are heard for the first time, locked out of the auditorium. As the story progress, the author places you right there inside the auditorium facing death. Claire is a senior on the track team who was excused from the school assembly this morning along with several other team mates for early morning practice. Tomas, on detention with his friend Fareed, for gluing the desk drawers of a teacher, also excused from the assembly. Sylv is a senior with her choice of college. Autumn is a junior and a gifted dancer with a dream. The last two aren’t so lucky. They are seated in the auditorium with a thousand other teens listening to the Principal’s speech. That is until a young man steps up on stage to ask a question. A young man with a gun named Tyler. Tyler is Autumn’s brother. He is the son of an abusive alcoholic and their mother died two years ago in car accident. Tyler’s girlfriend broke away from him when she saw the mean, abusive side he had hidden for so long. In his eyes, he has lost everything and everyone he ever loved. Tyler believes that it’s his turn to make people sit up, take notice of him, and pay for the pain they have caused him. You are there, watching while innocent teens are murdered or maimed. You are running for help but feel helpless to do anything about what is going on inside the school. You are the heroes that, in spite of their bad boy images, risk their lives to free those students under fire. Through flashbacks and memories you will learn about Claire, Tyler’s ex-girlfriend and her disabled brother Matt, who is in the auditorium. Fareed, Tomas’ cohort in crime, is an A student who happens to be Muslim. Tomas and Sylv are twins who were so close until a year ago and whose mother is mentally drifting away. Autumn dreams of going to Julliard when she graduates. She is also Sylv’s girlfriend. The story draws you in and places you in seat at the center of the terror. It locks you outside, scared for those inside the assembly hall, feeling helpless and places you in a heroes shoes. This isn’t just a headline story anymore. The fictional story has all the grit of a true tale. 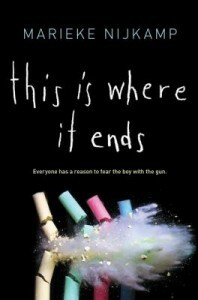 This Is Where It Ends is a drama filled novel, full of emotion that may have you taking a second look at some of the people around you and realizing that there is more to them than what you can see on the outside. 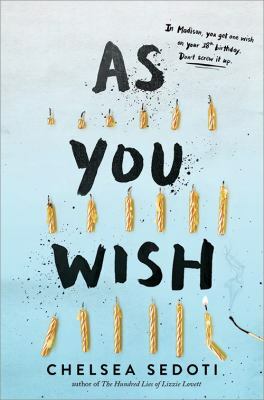 And while Marieke Nijkamp has given us a diverse group of characters (various ethnic origins, different religions, and gay teens), each has their own perspective of what’s happening and what they are capable of doing. Some are too terrified to move, some try to escape where there is no escape, some are targeted for death, and a few are foolishly brave, heroes. By the end of the story, I really cared about this group that I had only met for a few hours before, and wondered where the the survivors would be a year from now. This entry was posted in Reviews and tagged Katy, School Shootings on February 29, 2016 by katygrant. In the not too distant future six teens, each with a fatal illness, have transfered their “memories and personalities” to Pioneer robots, eight-hundred pounds of metal and neuromorphic electronic circuitry. Leaving their human shells behind is only the beginning for these adventurers. At first, there is pain and anger at losing their human form. Then, the fear of losing their memories, their humanity, or of simply disappearing. They must learn to harness the technology, as well as come to grips with the power and strength given their robotic forms. 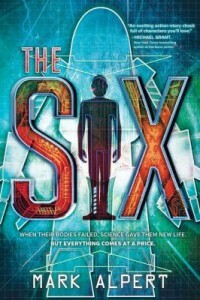 This second chance at life comes with a very high price as The Six must confront Sigma, a highly developed artificial Intelligence, and stop it. Sigma has escaped human control and is out to rid the world of what it perceives as its greatest nemesis, humans. Adam, Jenny, Zia, Shannon, Marshall and DeShawn are the Six. Adam is a geek, who has spent years writing computer games. Zia has street smarts and is tough as nails. Jenny is a debutante who had everything. Shannon, a classmate of Adam’s, is a wiz at math. Marshall never let his deformity label him. And DeShawn has a wicked sense of humor. Each distinct personality demonstrates you can still be unique even when housed in identical forms. One of the most difficult tasks for these teens will be learning to work as a team, caring about each other, fighting together, and just plain getting along. Full of adventure, heartache, and intriguing scientific facts, this tale is a roller coaster ride of emotions as well as a rousing battle for control of the Earth. The Six face painful losses, death, and decisions many adults couldn’t handle. And while they don’t come away unscathed, they command respect for who they are and how they handle what life throws at them. The final pages will have you searching the skies, or at least the Internet, for the next installment to hit the streets. Mark Alpert takes us into our scientific future and asks if can we hang on to our humanity, compassion, knowledge and understanding of others if we no longer hold a physical human form. Can we handle being given great strength and almost unlimited power to control the world around us? I had a hard time putting The Six down even though at times I was slowed down a bit by where Mark Alpert was going with his scientific knowledge. I could hear the teen’s voices clearly in the characters, right down to the misbehavior antics and lack of emotional control at times. The commander was a stereotypical military leader of the “my way or the highway” mold but fit in with the storyline. There was plenty of high adventure, strife, just a hint of romance, and enough battle action to make me feel like I was watching a World War II movie. This entry was posted in Reviews and tagged Artificial Intelligence, Dystopian Fiction, Katy, Older Teen Fiction on August 31, 2015 by Tony. Global warming has ravaged the planet in this dystopian tale of dwindling land and water needed to grow food and a government with little care for its people. Nere is a young teen whose world is falling apart around her, even faster. The supply of a rare medicine needed to help her breathe on land, is running out. Two years ago she lost her father in an accident, or so she thought. Then her beloved brother left after an argument with Gillian, their mother. Cam, her best friend, is involved with smugglers that could cost him his freedom, if not his life. Her only escape from all the chaos around her is the time she spends in the water training and communicating, telepathically, with a family of dolphins. Then the day comes, when the Western Alliance, the world’s rulers, have decided to move the people of the village away from sea. For three young teens Nere, Rory, Cam’s little brother, and Lena, an old school friend time has run out. In a final act of desperation, Gillian reveals the secrets she has been keeping. Nere and the others are part of an experiment; their genes had been altered so they could live in the world’s waterways and they must take the final steps that will make living on the land impossible. James, her brother, had been part of the experiment too, but something had gone terribly wrong. The three teens must now set out on a journey to find the underwater settlement her father has been building for years, thousands of miles away. Gillian, Cam and Lena’s parents gather to say goodbye and give them instructions when soldiers show up to prevent them from leaving. A fight breaks out. Not everyone escapes. The surface world is dying and humanity’s only chance for survival may be life under the sea. The journey is more than just the miles the teens will have to travel. They must face the reality that they will never be able to live on land again and while life under the sea is beautiful it is also deadly. While, not all the danger they face comes from the marine life. 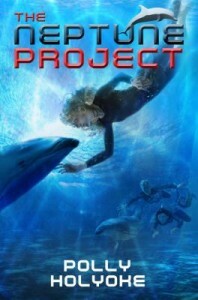 The Neptune Project by Polly Holyoke is the first in a trilogy. This entry was posted in Reviews and tagged Dystopian Fiction, Global Warming, Katy, Science Fiction, Tween Lit on June 11, 2015 by Tony.